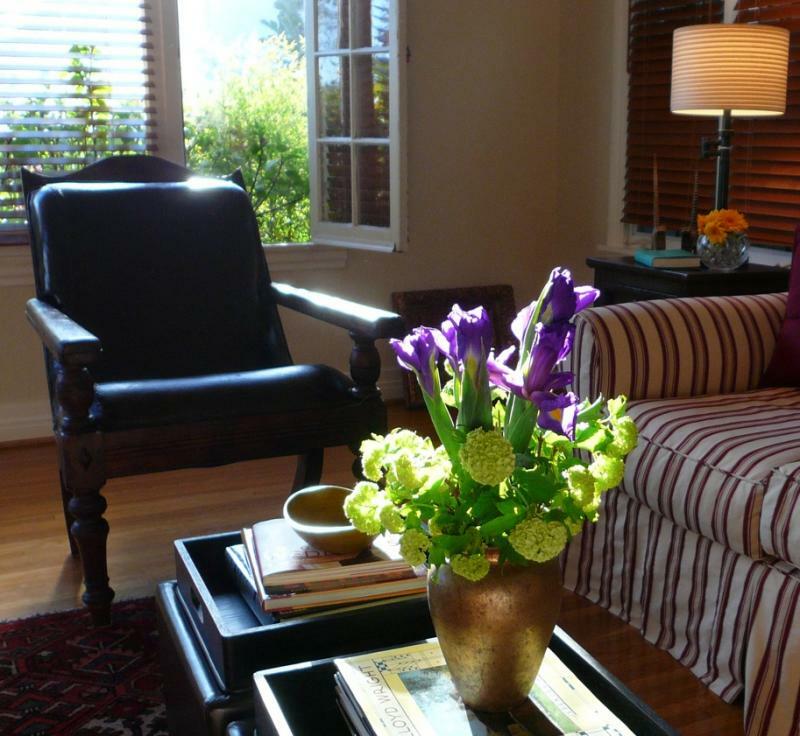 If you're searching for the ideal Los Angeles vacation rental or short term businsee travel accommodations- 31 Days or more- look no further- The Havenhurst: Bungalow One & Two is the perfect place to stay when visiting Los Angeles, Hollywood, Beverly Hills or West Hollywood. This beautiful and warm 1926, side-by-side, California Bungalow style vacation rental is centrally located in the heart of Los Angeles. "The interior decorating and the quality of this home is a 5 Star plus. The owners were so helpful and kind during our stay. I hope to go back again and stay just for fun. I would recommend this place in a heartbeat." The Havenhurst Los Angeles vacation rental consists of two Bungalows, each with their own spacious living rooms, dining rooms, and hardwood floors throughout. Both have 2 bedrooms and 1 bath. Queen-sized beds in both bedrooms and an additional queen size convertible, each unit sleeps four to six people. Each master bedrooms features French doors that open onto a private deck overlooking a quiet garden. Other amenities include central heat and A/C, fully stocked kitchen, gas BBQ grill, Satellite TV with FREE premium channels, DVD players, FREE wireless high-speed internet connection, telephone, and plush towels and Egyptian and Pima cotton sheets. We stand out from other Los Angeles vacation rentals because we offer a wide variety of complimentary items that make your stay much more enjoyable. The Havenhurst vacation rental is two blocks away from Melrose Avenue and Santa Monica Boulevard where Los Angeles, Beverly Hills and West Hollywood meet. Visit world-famous celebrity-haven- Fred Segal, Maxfield, Jonathan Adler, Paul Smith, Marc Jacobs, Energie, Miss Sixty, and John Varvatos -to name a few. After a day of shopping, drop off your bags and stroll to some of L.A.’s hottest restaurants including Lucque’s, Marix, Hugo’s, Lola’s, Sona, Table 8, La Boheme, and Koi. By car or cab you are minutes from Beverly Hills’ Rodeo Drive, The Grove, Hollywood Bowl, The Beverly Center, Sunset Strip, Hollywood and Highland, CBS, and Paramount Studios. Twenty minutes away from LA’s best beaches, Universal Studios, The Getty Museum, Warner Bros. Studios, NBC Studios, or Downtown Los Angeles. And just 45 minutes away from Disneyland, Magic Mountain, and The Queen Mary.